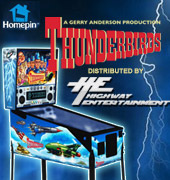 Highway Entertainment (HE) is an Australian based online store which sells spare parts and pieces for arcade and amusement cabinets or machines. 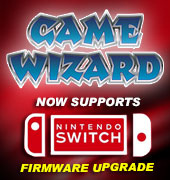 Whether you’re looking for hardware or software, replacements or upgrades - HE has you covered! Our arcade parts for sale in Australia covers a comprehensive range of parts and accessories for amusement machines, pinball machines, ticket redemption and driving machines, all of which are located in our NSW, Australia warehouse. We have an extensive stock list of products available and we ship all over Australia. Arcade parts for sale include: cabinet parts; joysticks; stools; artwork; stickers; pushbuttons; manuals and player instructions; boards; switches; locks; monitors and chassis; power supplies; transformers; PCBs; cables; plugs; adapters; coin mechs and accessories; cash handling systems; computer hardware, software and accessories; as well as parts specific to pinball, driving and shooting arcade machines (such as guns, steering wheels, pedals, flippers, etc.). For more information, please review the below categories or choose one of the left menu options.